I am not a big fan of non-fiction, and memoirs least of all. My husband has tried buying me some memoirs before. I start them and then for whatever reason (insert numerous inane reasons here) I must stop. So, when he gave me Educated for Christmas, I wasn’t thrilled. Turns out, I was wrong. I couldn’t put it down. I absolutely loved it. Ms. Westover has a beautiful mind and this is portrayed throughout the book. It is the story of Tara Westover who grew up in Idaho with survivalist parents, no formal education, an abusive brother, no medical care, the list seems to go on. Two of her brothers went to college and she saw how it changed them. She educated herself enough to get into Brigham Young University. From there, her world just kept expanding. 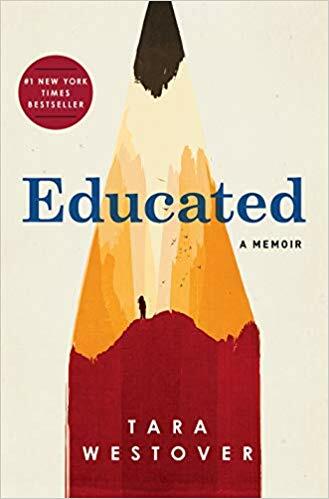 Educated is a wonderful story of wanting to know more, family loyalty, and love while remaining true to yourself and the beliefs you have created for yourself as you grow and mature.